J G Byrne & Maura McHugh get (totally) hammered on Nigel Kneale as they witness the birth of Hammer horror (proper). a) Is Brian Donlevy the least-convincing rocket boffin in cinema history? b) What does sedated Judith Carroon plan to do with her husband? c) What became of little Jane Asher's decapitated dolly? Some of that and less is answered here! Andy Murray's book on Nigel Kneale - Into The Unknown: The Fantastic Life of Nigel Kneale - was revised this summer and is worth reading if you like the man's work. The anthology Maura mentioned - We Are The Martians: The Legacy of Nigel Kneale - is available to buy on the PS publishing web site. And Maura's latest volume - on Twin Peaks: Fire Walk With Me - can be (and should be) purchased here. After delays caused by illnesses (really), technological breakdowns (really) plus drought 'n' pestilence 'n' flood (not really), we're back, baby! And we're back to where it all started (really started) for Hammer Horror. It's lurid colour! It's Gothic sensation! It's Cushing! It's Lee! It's Terrence Fisher! It's a concatenation of circumstances (as Bertie Wooster would have it) and a coming together of elements. It is - of course - The Curse Of Frankenstein. And joining me on this episode, to break it all down, is Donald Clarke - chief film correspondent for The Irish Times, and one of the most entertaining and insightful journalists currently writing about film. You can also track him down on Twitter, where his handle is @DonaldClarke63. Original music, and music mixing, is, as always, by our own in-house composer (our James Bernard) the mighty David Blake. Hope you enjoy. Let's get Hammered. "What's that unnerving hammering sound?" you (probably don't) ask. Where J G Byrne and Dan Byrne-Smith (the brother-in-law) discuss things pertaining to, y'know, the film in question. Which is, of course, the not-at-all Quatermass-like X The Unknown (1956). Or, as I like to call it – The Most Lamentable Tragedy of Spider and Haggis. Chatter about the origins of Pop-Tarts! Tear-stained tributes to Anthony Newley's melted face! Cynicism regarding the bona fides of Scottish clergymen! Theme tune (& musical mixing) is, as always, by the mighty David Blake. And the noodly electronic bits you hear are from Linthia 2 - Dan's own composition. 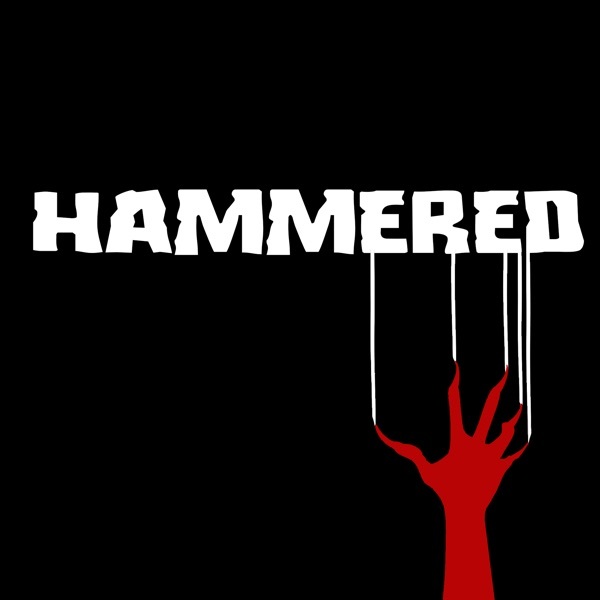 Hammered will be a podcast about Hammer (the studio) but not hammers (the tools). Starting with The Quatermass Xperiment (1955) and ending (maybe) with To the Devil a Daughter (1976), your host J G Byrne - aided by an undead army of super-guests - will chronologically and (kind of) critically and (hopefully) amusingly work through the studio's horror releases. One film at a time. Original music by the mighty David Blake.